The Oregon Blue Book is an excellent quick reference/source of information on the history, government and communities of Oregon. Since 1907, the Oregon State Library in Salem has been ensuring that citizens have continuing access to public documents through the Oregon Documents Depository Program. By collecting documents and distributing them to designated depository libraries around the state, the Depository Program provides access through library collections and through the online Oregon Documents Repository. Access to Oregon documents is provided through Depository library collections and catalogs. Links to Repository documents are contained in our catalog and in WorldCat. 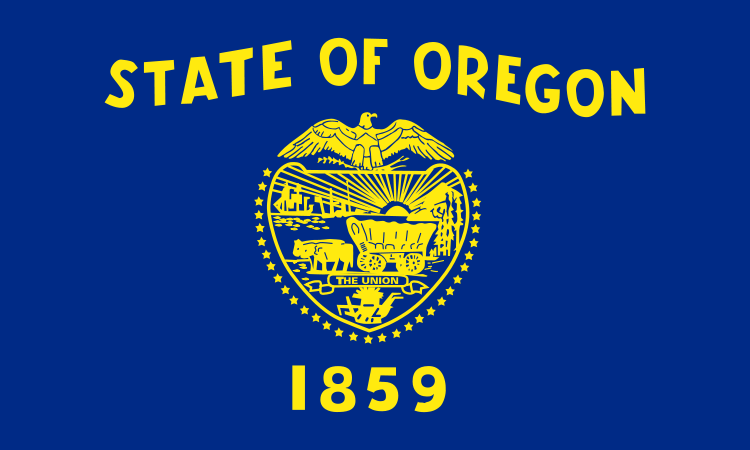 The goal of the Oregon Documents Repository is to make all state documents available online. All depository libraries are required to make their Oregon documents accessible to the public free of charge. Depositories must retain all depository documents for a minimum of five years, except that superseded publications may be replaced by the newer edition. As the official archive for Oregon public documents, the State Library will retain all titles permanently. While most of the current documents of Oregon state agencies are digital, when agencies create tangible public documents they are required to supply the State Library with copies to distribute to the depository libraries. What is a "public document"? Here is what does and does not qualify as a public document. Financials reports Grant proposals, bids, RFPs, etc. Research reports, studies, statistical compilations, etc . When you look up an Oregon Statute (online or in print), the last line [in square brackets] is the Legislative History, ie, it outlines the changes made to that statute or section over subsequent Legislative sessions. Sections of statutes can be original, or they can be repealed, amended, or renumbered. This means that ORS 657.222 was enacted by Oregon Laws 1983, chapter 528, section 8, and was repealed by Oregon Laws 2009, chapter 11, section 83. HISTORY: 1987 c.795 § 3. This means that this section of a statute was enacted by Oregon Laws 1987, chapter 795, section 3. It was first established in 1987 and has not been repealed, amended, or renumbered. In Nexis Uni this is usually followed by more information, such as law review citations (with links!) You can also Shepardize the document with a click of the mouse, to find out what court cases have cited the statute. This can make Nexis Uni a real time-saver! Data for Local Communities (Oregon and Washington) Orbis Cascade Alliance. This website is a gathering place for statistical, spatial, and descriptive information about the cities, counties and other civil, economic and natural regions of Oregon and Washington. The LocalData database lets you retrieve web-based information by topic and geography, while Additional Resources provides links to geospatial data and other organizational websites. Data.Oregon.gov Oregonians want more access to data collected and stored by Oregon's state and local government agencies. In response, Oregon launched the Data.Oregon.gov website to provide Oregonians the ability to view, search, sort, filter, download or build applications to access public data. Oregon Census State Data Center The Oregon State Data Center (SDC) and Business and Industry Data Center (BIDC) represent federal-state cooperative programs sponsored by the U.S. Department of Commerce, Bureau of the Census. The Population Research Center (PRC) is the lead agency responsible for administering these programs in Oregon. Find here the most up-to-date Census data and population projections for Oregon. Voters' Pamphlet: Some of the Voters' Pamphlets have been digitized by the Oregon State Library; you can find information on this at the Oregon Voters' Pamphlet Project page, http://www.oregon.gov/osl/GRES/Pages/Oregon-Voters%27-Pamphlet-Project.aspx. Digital and paper copies of the Oregon Voters' Pamphlets are a permanent part of the Oregon State Library's Oregon Documents Collection. For complete information about Oregon's elections process, please see the Voting & Elections page at the Oregon Secretary of State website.